There’s been a lot in the news lately surrounding the legal implications of new moves being made for creatives and intellectual property ownership – so much so that this petition has been issued. We at team Black Major care very much about making it possible for artists do what they need to, to get ahead on their own terms. We have grand plans for a series of workshops over winter, as well as being in attendance for Atlantic Music Expo this weekend where we’ve been part of the selection committee of submissions from all around the world, as well as teaming up with local legal experts, Legalese to make all the information available as easily accessible as possible, through workshops and info-sessions. We’d like to contribute in every way so that artists can acquire the assets they need to live their best creative lives; so let’s start at the beginning. There are 3 documents available now over at Legalese, including paperwork on Royalty Split Agreements, Booking Agreements and Licensing Agreements. Get these very important – and very free – music agreement assets, here. 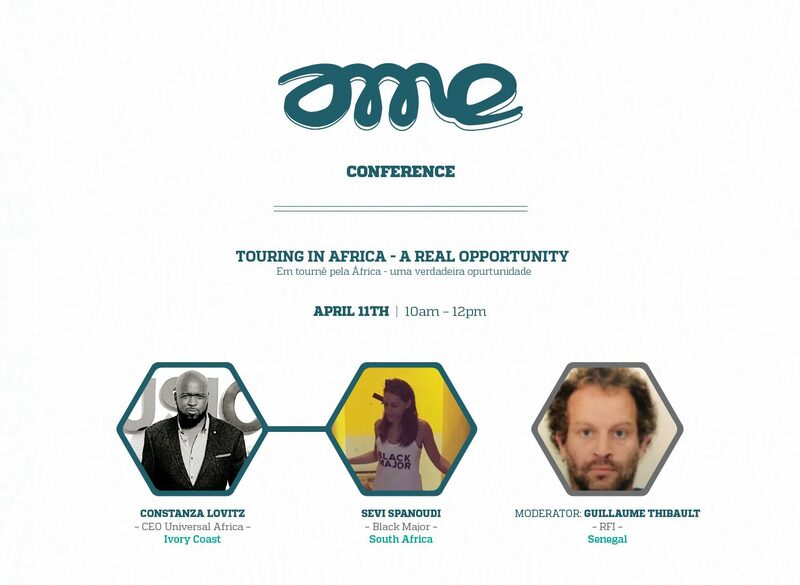 Wan dwhileyou’re at it, our esteemed leader Sei Spanoudi will be on a panel to be held on Thursday, April 11th from 10am to 12pm at Palacio da Cultura, called Touring Africa, moderated by Guillaume Thibault, Journalist at RFI (Dakar). Shell be discussing the hseer size of the Africancontinent, and how, while underestimated, touring opportunities on this continent are very real. But to ensure a successful tour, several factors must be taken into account such as the importance of circuits, a real media promotion, understanding the difference between Francophone, Anglophone and Lusophone Africa or the real need of pan-African collaborations in connecting territories… it’s going to be educational!